Kat draws a lot: What time is it? Today is the actual first day of the FMP production stage. 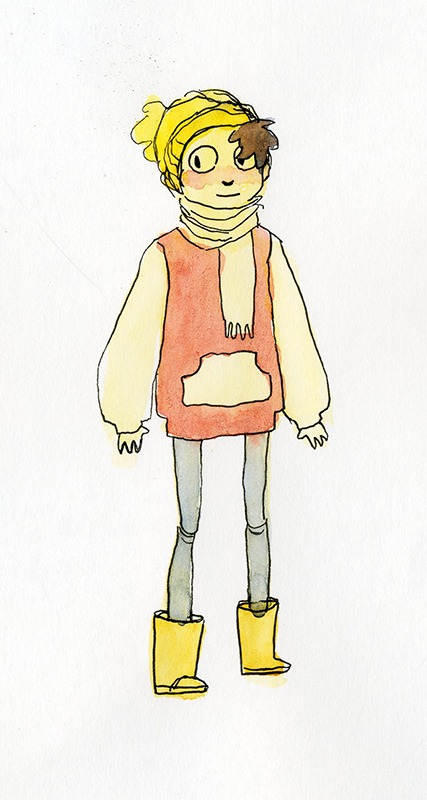 The coming week I am going to spend working out technical bits and bobs, as well as working on the player character. The first thing on my to do list is to make that camera work. I wrote about it in an earlier post but to recap, the problem with it was that it was fixed too close to the character. Otherwise the UDK platformer starter kit contained a lot of unnecessary elements, so I am going to look into a different way of doing it. 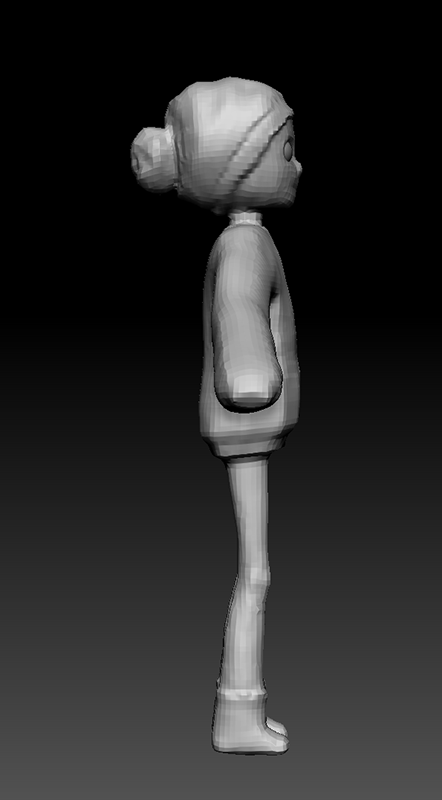 I've started sculpting the character in Zbrush and have made a nice start on it. It still needs to be pushed a lot more but it is going well. Successfully stylizing 3D characters is difficult to pull off and one of my worries is that it'll end up looking really bland. 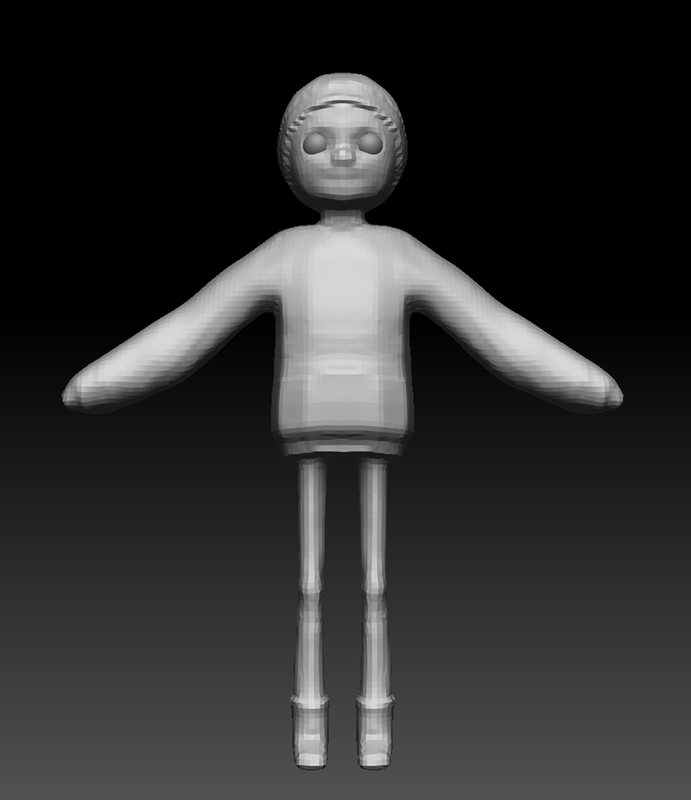 I'm looking at 3D characters and dolls I think are really cool, in an attempt to help me avoid that. These characters are really nice looking. They have strong silhouettes that are easy to read. Especially Rasputin is a good example for my purposes. His feet and hands are greatly exaggerated and enlargened so their placement will read easy even on small screens. 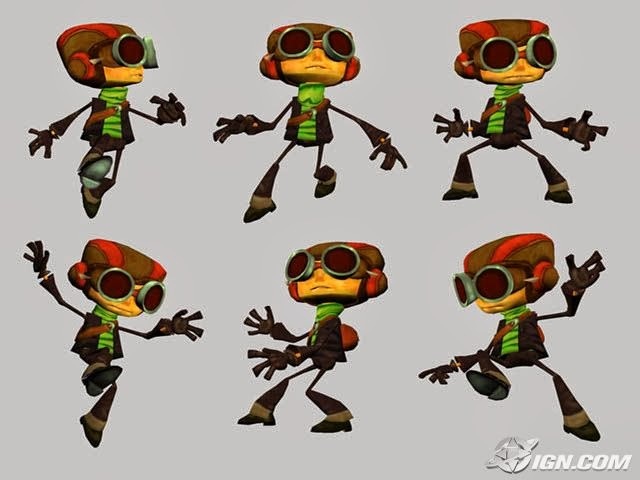 They are also very dark so they will contrast with the bright environments of Psychonauts. I think I will do it differently and make the character very bright compared to the environments, but it is something I still have to look into before I come to a final decision. A lot of their life does come from pose and expression. It's very easy to look at a t-posed character and feel disheartened because it is so life-less, but I noticed I was a lot more pleased with my previous character work as well once they had a bit of attitude and were posed up... even if I'd done a bad job with the rig and it was painfully apparent. I'm really excited to finally get to focus on this 100%. I feel like I am kind of just diving into it but I don't want to loose my pacing from the past few days.